Fast Fix provides issue resolution recommendations based on advanced analytics. Analytics helps to better schedule and allocate field service staff – including self-scheduling. The app provides recommendations on cross- and up-sell opportunities. 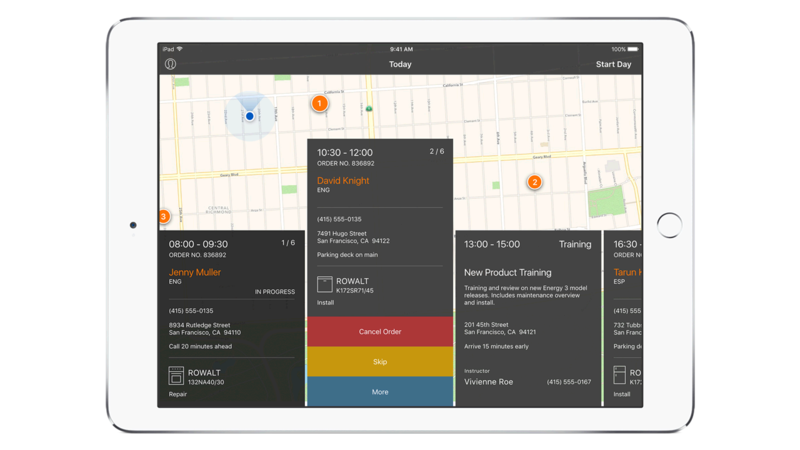 The app’s geo-location and travel time management lessens the total time of the job. FaceTime and iMessage capabilities allow technicians to call in the help of an expert and visually show the service call problem – allowing the job to be done right the first time. Technicians are able to use the camera to record the outcome of service. The app provides mobile payment solutions including Apple Pay – enabling the technician to finish the work faster. Fast Fix provides powerful analytical guidance in real time as technicians solve problems at the customer site. The app allows technicians to have access to all relevant documentation, as well as off-site help, while they are at the job.